West Bengal Chief Minister declared that her agitation to save the "Constitution and country" will go on and she was ready to face the consequences. Kolkata: West Bengal Chief Minister Mamata Banerjee, who has been sitting on a dharna since Sunday over ‘CBI vs Kolkata Police’ on the chit fund scam, received an overwhelming support from various opposition parties, who are trying to sew up an anti-BJP alliance ahead of the Lok Sabha polls. The unprecedented stand-off between the Narendra Modi government and the Mamata Banerjee government in West Bengal started on Sunday when a CBI team went to Kolkata Police Commissioner Rajeev Kumar’s residence in the city to question him in connection with multi-crore chit fund scams, but was denied permission, bundled into jeeps and whisked to a police station. The opposition parties alleged that Union government was trying to “murder democracy” while the BJP hit back dubbing the backing as an “alliance of the corrupt”. Congress chief Rahul Gandhi, Delhi Chief Minister Arvind Kejriwal, Andhra Pradesh counterpart Chandrababu Naidu, Samajwadi Party chief Akhilesh Yadav, Madhya Pradesh CM Kamal Nath, DMK president MK Stalin and former J&K chief minister Mehbooba Mufti were among those who called up to express solidarity to her protest. Meanwhile, RJD leader Tejashwi Yadav and DMK leader Kanimozhi joined Banerjee at the dharna site and expressed solidarity to her and extended their support. The ruling party also fielded its senior leaders and Union ministers to launch a counter-offensive on the issue. Addressing a press conference, Union Law Minister Ravi Shankar Prasad wondered if Banerjee backed the police commissioner because he held “secrets” and needed to be saved. 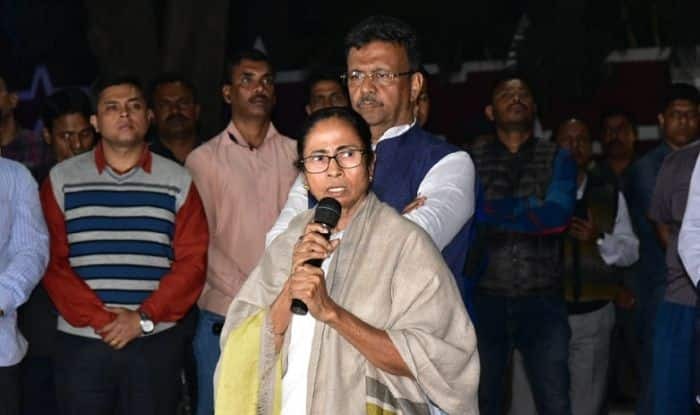 On Monday, Banerjee seemed completely at ease doing what she has always revelled in – street protest – as she took the hand mike from time to time, gave brief speeches, attacking the BJP-ruled centre, with Prime Minister Modi and BJP chief Amit Shah being her special targets. She claimed the sit-in was “non-political” and not against an individual agency but to oppose the “anarchic moves” by the Modi government to destroy democracy. “Our Satyagraha is not against any individual agency. Our protest is against the attempts to divide the country and spread hate, intimidation and terror among people,” she said, as her party activists put up rail and road blockades at various parts of the state, took out protest rallies with back flags and burnt Modi’s effigy. Banerjee claimed she was getting support from across the country and said the demonstration might continue till February 8. Interestingly, PM Modi is scheduled to address a public meeting in north Bengal on that day. The alleged ponzi scams at Saradha and Rose Valley groups are at the centre of what has become a major political controversy now, as the BJP leaders have alleged that the ruling party leaders in West Bengal have been among major beneficiaries of fraudulent collection of money. Allegedly, these schemes were being run without necessary regulatory approvals and collected nearly Rs 20,000 crore from lakhs of investors in West Bengal and neighbouring states, through what is commonly known as ‘chit funds’. The Supreme Court will on Tuesday hear the CBI’s plea alleging destruction of electronic evidence related to the Saradha chit fund scam case by the Kolkata Police commissioner. Agreeing to give it an urgent hearing, the top court said it will come down heavily on him if he “even remotely” tries to destroy the evidence. A three-judge bench comprising Chief Justice Ranjan Gogoi, Justice Deepak Gupta and Justice Sanjiv Khanna will hear the agency’s applications which alleged that an extraordinary situation has arisen in which the top police officials of the West Bengal Police are sitting on a dharna along with a political party in Kolkata. 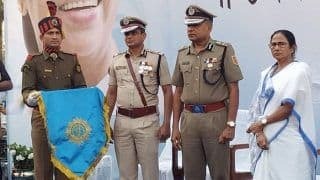 The applications accusing Kolkata Police chief Rajeev Kumar of destroying evidence related to the case and indulging in contempt of court were mentioned by Solicitor General (SG) Tushar Mehta before a bench comprising Chief Justice Ranjan Gogoi and Justice Sanjeev Khanna. On the other hand, the Calcutta High Court is scheduled to hear on Tuesday the West Bengal government’s plea against the CBI’s attempt to question city police chief Rajeev Kumar at his residence in connection with chit fund scam cases. Following objection by the Union government on Monday, Justice Shivakant Prasad refused to give the matter an immediate hearing and listed it for Tuesday. State Advocate General Kishore Dutta submitted that despite a stay by the high court on steps regarding notice to state police officials, the CBI sought to enter Kumar’s residence on Sunday and question him. He submitted that the court is scheduled to hear the matter on February 13 and as such, the CBI’s attempt to enter Kumar’s official residence was in violation of its order. 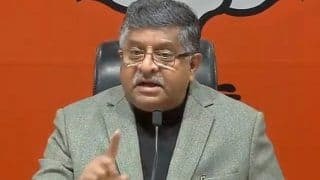 Additional Solicitor General Kaushik Chanda submitted that the stay was on a CBI notice to only Arnab Ghosh, the then deputy commissioner (detective department) of Bidhannagar Police, which initially investigated the chit fund case, and two other police officials – Dilip Hazra and Sankar Bhattacharya. He further told the court that the CBI has already moved the Supreme Court, on the order of which the central agency is investigating the chit fund cases, and as such the hearing on the state’s prayer be adjourned. RJD leader Tejashwi Yadav and DMK leader Kanimozhi joined Banerjee at the dharna site on Monday. Mamata claimed the sit-in was "non-political" and not against an individual agency but to oppose the "anarchic moves" by the Modi government to destroy democracy. The opposition parties alleged that Union government was trying to "murder democracy" while the BJP hit back dubbing the backing as an "alliance of the corrupt". Kolkata Police served a notice to CBI joint director and head of zone (Kolkata) Pankaj Kumar Srivastava in an old case. The Calcutta High Court is scheduled to hear on Tuesday the West Bengal government's plea against the CBI.